These Ensoni shoes by Effegie is a classic boot with a twist! 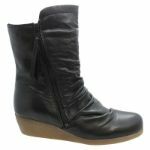 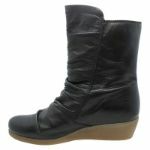 We love the elegant draped leather which elevates the simple shape, and makes these boots something to pay attention to. 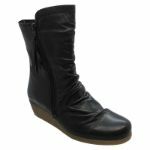 Ensonis are designed to protect you from the elements and hold your foot snugly in place, whilst the soft leather offers support to both your ankle and your calf. You’ll never want to take them off!